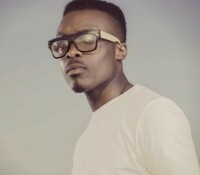 As regular Cross Rhythms listeners will know, Faith Child is one of Britain's premier gospel rappers. His 2009 album 'Illumination' produced four playlist hits with "Just Pose" and "Unstoppable" being particularly popular. Now his 'Airborne' album is repeating the winning streak with "Tunnel Vision" (featuring America's Da'T.R.U.T.H.) and now "Chosen Ones" (featuring A Star, SPZRKT and Twelve24) are catching CR listeners' ears. He spoke about his gem of an album. "'Airborne' plays on the concept of taking off and flight. When you're flying there'll always be turbulence and the clouds can block your view. The whole aim is to reach your destination. Relating that to life, there are so many obstacles in the way, whether friends, fear or background. The whole concept is about seeing the bigger picture in every scenario. In my song 'Take Off', I'm very explicit in that. In songs like 'Ricochet', I'm talking about bouncing back despite set-backs." Faith Child spoke about the message in his music. "My key thing is to inspire people to pursue their dreams regardless of their background, creed or colour or misdeeds, short-comings and failures from the past because all our gifts are there to serve a greater purpose and service is key. I believe that Christianity is underexposed. People know the obvious things like John 3:16 but they don't know about the wisdom in Proverbs or conflict resolution in the Bible." Faith Child has been following God for quite a time. He said, "I was raised in the church so that's all I've known all my life - I was even fasting at the age of eight!" As a child he experienced divine protection. He testifies, "When I was nine, I got hit by a car travelling at 40 miles an hour. But I felt a cushion underneath me. Only my thumb was grazed! 'That was God,' I said to the paramedics. Even at a young age, I could testify to the evidence of God. So I've had God within me from an early age, and ever since."